Rosemary is a shrub of the lamiaceae family native to the Mediterranean area.Its stem, that can reach two metres in length, is covered with a greyish bark and divides into opposing branches. Its leaves are longer than they are wide, with slightly rolled edges. Its blue flower spikes blossom from January to May. The name "rosemary" derives from the Latin for "dew" (ros) and "sea" (marinus), or "dew of the sea". 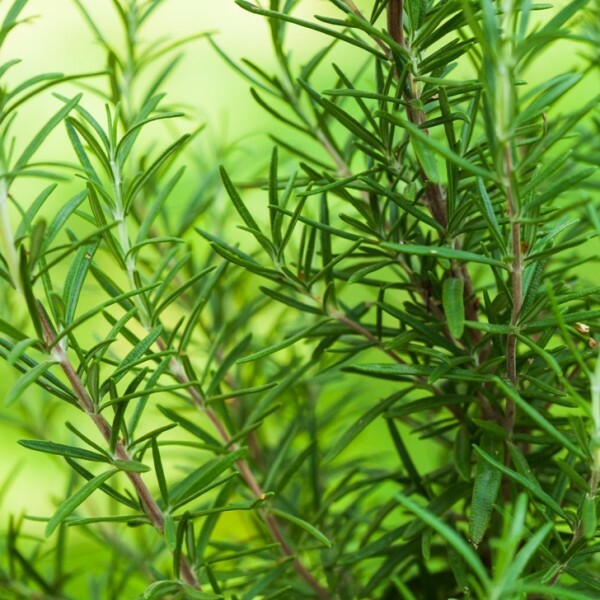 Rosemary has been one of the first plants widely used therapeutically, for cooking as well as for its pleasant aroma. As an example, in Ancient Greece, rosemary sprigs were burnt as incense at shrines. In the Middle Age, it was used to treat respiratory and circulatory disorders, liver congestion, muscular and rheumatic pain as well as skin and hair problems. Aroma and taste : Rosemary without the bite. The first note is a sweet, soft green, which is then followed by the classic sharp rosemary odor but with less intensity. Neat, the taste is pungent, herbaceous, and green with a minty, cool effect that quickly fills the mouth, less pungent than the other rosemary chemotypes. In dilution, the overall effect is sweet and cool, not at all sharp. Stability and Shelf Life : Slightly unstable. Average life is fourteen to sixteen months, and this is a fairly consistent life span among the very few producers of this chemotype of hydrosol. Verbenone is a worry-free ketone, making it highly useful and safe for all ages. Internal use of this hydrosol is excellent for treating the respiratory system and conditions of congestion and mucus. On its own or combined with Inula, take one to two teaspoons at a time up to ten times a day to loosen phlegm in the lungs and sinus. Snuff a few drops up the nostrils every morning in winter to keep the airways clean and moist and combat the congestion associated with central heating. Internally the three-week protocol can help clear mucus from the digestive tract, improve liver function and digestion, and clear the skin. Use topically in a hot compress for ear infections to speed drainage of pus and to disinfect; do not put hydrosol directly in the ear canal but compress on and around the ear. Follow with one or two drops of lemon eucalyptus and lavandin or spike lavender essential oils applied at 50 percent dilution around and behind the ear and down the neck, repeated three to four times a day. Candle the ears on the first and fourth days. This treatment works wonders, even on the recurrent, antibiotic-resistant ear infections so common in children. It is experimental in combined internal and topical use for decongestion of the prostate associated with aging. The aesthetician’s friend, rosemary verbenone works on the middle layers of the skin, calming irritations, bumps, pimples, and roughness from the inside out. In a steam or hot compress it helps bring impurities to the surface and decongest clogged pores, toning and refining. It clarifies and brightens all complexions and can be combined with rose geranium, melissa, the chamomiles, lemon verbena, and carrot seed hydrosols for a serious skin-regenerating protocol. 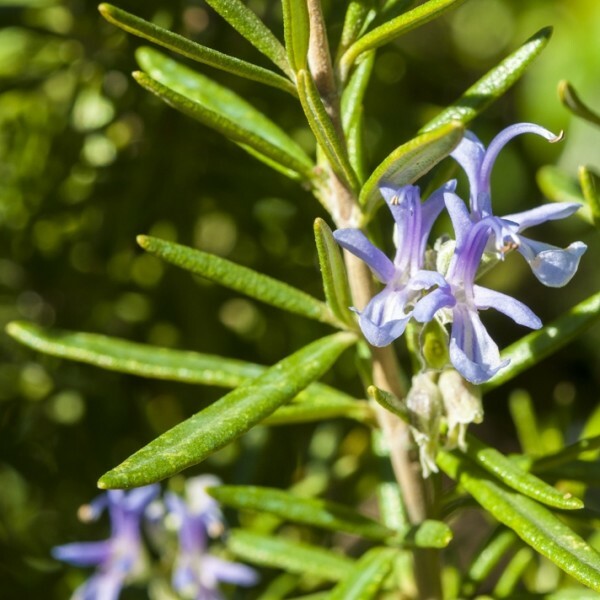 All the rosemary are known to exhibit strong antioxidant properties, and this variety is no different, possibly exhibiting stronger free radical-scavenging traits, although the data is currently inconclusive on this. Its antioxidant properties on the skin do not seem to help its shelf life, probably because of the high rH2 factor.